It’s time to rethink the dusty, cold, and cluttered garage you know so well. Imagine stepping into a garage that’s bright, clean, and colorful — ready to become anything at all whether it’s a workshop, home gym, man cave, or tidy storage space. With an epoxy garage floor coating in Nampa, you don’t need to worry about gas and oil stains, unsightly cracks, or concrete dusting. Garage epoxy is the ultimate floor system that’s seamless, easy to clean, highly decorative, and an affordable way to remodel your garage. 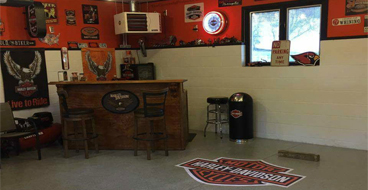 Here’s how our garage floor epoxy contractors in Nampa, Idaho can give you a garage you can be proud of. Don't be fooled by the results you get from "epoxy paint" and DIY garage epoxy kits. 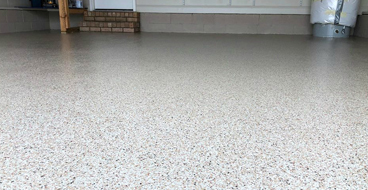 A professional garage floor epoxy is made from 100% solids and a combination of hardeners and epoxy resin that react to form an ultra-rigid and durable plastic material bonded to your concrete substrate. 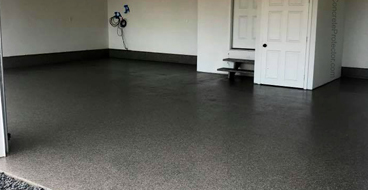 An epoxy garage floor coating can last up to twenty years and maintain its appearance and performance in the face of chemicals, hot tires, abrasion, moisture, and more. As you probably know by now, your concrete garage floor doesn’t stay pristine for long. It cracks, gets stained by gas, oil, and other spills, and it’s always giving off dust — a phenomenon known as concrete dusting. These problems are just the beginning when it comes to untreated concrete. An epoxy garage floor coating in Nampa, Idaho is a smart investment to maintain a clean and attractive garage and even give you other perks like a decorative floor design. With an epoxy garage floor coating, the design possibilities are truly endless. 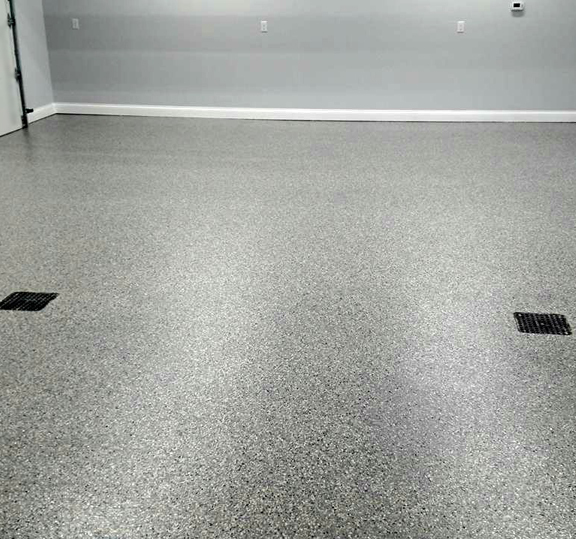 From sleek, high-gloss colors for the look of an auto showroom to elegant metallic epoxy garage floors with a three-dimensional look with depth and movement, our experienced epoxy garage floor installers can do it all. We offer endless color options with the ability to design and install custom patterns, shapes, logos, and more. An epoxy garage floor coating in Nampa, Idaho is the ultimate way to protect your garage floor and enjoy an attractive garage that can take a beating. Spills — even gas and oil — remain on the surface of your epoxy floor coating for easy cleanup without staining the surface or causing damage. Your epoxy floor can also resist damage from abrasion, road salt, hot tires, water, and more without showing wear and tear. Few home improvement projects offer the high return on investment you can enjoy with an epoxy garage floor coating in Nampa, Idaho. Garage epoxy offers a low initial installation cost that beats out traditional floor systems yet it can last decades without costly or time-consuming maintenance. It can even improve the resale value of your home. A garage epoxy coating is virtually seamless which means there is nowhere for dirt, dust, and debris to hide. You’ll find it easy to keep your garage sparkling clean with simple sweeping and mopping. If you choose to install a cove base, you can even pressure wash the epoxy as needed. Imagine it: a permanent end to your stained and dusty garage. Did you know a professionally installed epoxy floor coating can last up to 20 years without special care? Forget about DIY epoxy kits that are lucky to survive a year or two. We install 100% solids epoxy formulated for even demanding industrial applications. Your garage floor epoxy won’t just last; it will maintain its clean, crisp appearance without showing wear and stains. Don’t trust your garage to inexperienced epoxy “experts” who will install subpar epoxy products on top of poorly prepped concrete or worse — rely on a DIY kit from a big box store. Our epoxy coating contractors deliver superior results built to last. A long-lasting and flawless epoxy garage floor coating doesn’t happen by accident. It’s the result of thorough concrete preparation, high-grade concrete epoxy coatings, and experienced installation. Our epoxy contractors take the time to do it right to ensure you’re not just happy with your epoxy floor coating in the short-term: you’ll still be delighted with the performance and appearance of your floor many years from now. We take the time to make sure your concrete floor is in good condition first. Our garage epoxy installers will do a moisture test to check for excessive moisture problems and use a quality moisture barrier product to address these concerns. Damage to your concrete like holes, cracking, and spalling must also be patched and repaired. The next step is diamond grinding, an important step that gets rid of surface imperfections and opens the pores of the concrete. Once this is done, your concrete is prepped for a strong and long-lasting epoxy bond. Finally, we apply a high-quality epoxy primer and a 100% solids epoxy garage floor coating with a topcoat for beautiful results that can last for up to 20 years.